​The band first came into existence in November 1911. Its first conductor was William Ryder - Solo Cornetist from the Besses o' th' Barn Band. Bandmaster Robert McAnally took over shortly thereafter. At that time it was known as the Prahran and Malvern Tramways Employees Band but on April 2, 1912 the name was amended to Malvern and Prahran Tramways Employees Band. 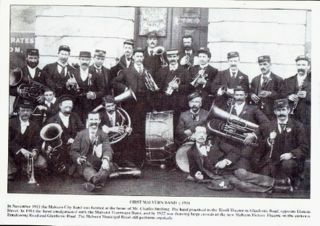 ​It was not much later that the name was changed again to the Malvern Tramways Band. During his tenure as conductor, Robert McAnally spent many hours meticulously arranging dozens of overtures, marches and show pieces of well-known classical composers. This he did by hand and the band is still in possession of these beautifully written manuscripts, which are now extremely valuable. Some of these arrangements are included on our centenary CD. On 10 January, 1915, Mr Harry Shugg, of the Geelong Harbour Trust Band, was appointed to the position of Bandmaster, which he then held for thirty three years. In 1933, Malvern Council provided the band with the converted stable behind Northbrook House at the rear of the Malvern Library to use as a dedicated rehearsal room. The band still rehearses in this venue. By 1946, when most of its original members, who had been tram drivers, conductors and engineers, had retired or moved to other districts, the Band was renamed the Malvern Municipal Band. 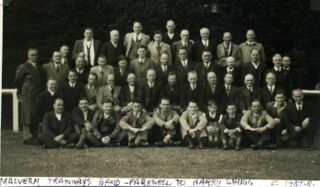 Conductor Harry Shugg retired due to ill health in 1947.Under his leadership the band won many State and National titles and was famous throughout the Southern Hemisphere banding world as the 'Malvern Trammies'. Another Golden era commenced in 1951 under conductor Bill Philpott, when once again the band became prominent in state and national competition. Mr. Harry Philpott succeeded his father in 1958. From 1960 – 1965 Malvern created a record by winning at the South Street Ballarat competition six years in a row. (Two Australian Championships and four Victorian Championships). In 1969, sadly Harry Philpott was forced to resign due to ill health, and he was succeeded by Mr. Wilf Dyson. ​For the next 20 years under successive conductors the band fluctuated between brilliant success and stages of re-building as membership changed. The period from 1984 to 1994 under conductor Vic Boyle was another musically productive period. After Vic Boyle left the band, the band nearly folded as a working identity, until the present day secretary Wes Brown took on a major rebuilding of membership. Almost single handedly he pulled the band together and set in train the processes which see the band today as Victoria’s largest and most active community band. ​Mr Kevin Hillier, ex Royal Australian Navy Band Music Director was appointed as the bands musical director in 1995 and remains with the band today. 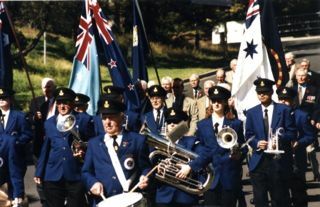 The band is no longer actively involved in competition, preferring to devote its efforts to community banding and is extremely busy fulfilling approximately 45 engagements annually, including Citizenship Ceremonies for Stonnington Council, Anzac Parades and services, concerts and other local functions. In 2005 a training and development program under the direction of Greg Marks and funded by the City of Stonnington was introduced. This saw the development of a school band at Malvern Valley Primary school and a Stonnington City Brass Training Band which in 2008 had grown to around 30 members. The band is justifiably proud of its long history and continuing musical capability. Rehearsals are held every Tuesday night in the historic bandroom situated in Northbrook House, located at the rear of the public library.